Only 4 AWD 4dr Sport Touring models left in stock! Plus tax, title and license. Prices include $200 dealer doc fee. Not all sales at MSRP. Only equipment basic to each model is listed. Call or email for complete, specific vehicle information. Factory incentives are subject to change and may depend on location of buyer’s residence. Not available with special finance, lease and some other offers. While great effort is made to ensure the accuracy of the information on this site, errors do occur so please verify information with a customer service rep. This is easily done by calling us at (907) 885-0345 or by visiting us at the dealership. EPA 30 MPG Hwy/25 MPG City! SUMMIT WHITE exterior and EBONY interior, Sport Touring trim. Onboard Communications System, Back-Up Camera, WiFi Hotspot, Remote Engine Start, TRANSMISSION, 6-SPEED AUTOMATIC, ELEC... SAFETY PACKAGE AND MORE! All Wheel Drive, Back-Up Camera, Onboard Communications System, Aluminum Wheels, Remote Engine Start, WiFi Hotspot. Rear Spoiler, Keyless Entry, Privacy Glass, Child Safety Locks, Steering Wheel Controls. SAFETY PACKAGE includes (UFT) Side Blind Zone Alert, (UFG) Rear Cross Traffic Alert and (KI6) 120-volt power outlet, AUDIO SYSTEM, BUICK INFOTAINMENT SYSTEM, AM/FM STEREO, SIRIUSXM with 8 diagonal Color Touch Screen, includes 2 USB ports, Bluetooth streaming for audio and select phones and Phone Integration for Apple CarPlay and Android Auto capability for compatible phone (STD), TRANSMISSION, 6-SPEED AUTOMATIC, ELECTRONICALLY-CONTROLLED WITH OVERDRIVE includes Driver Shift Control (STD), ENGINE, ECOTEC TURBO 1.4L VARIABLE VALVE TIMING DOHC 4-CYLINDER SEQUENTIAL MFI (138 hp [102.9 kW] @ 4900 rpm, 148 lb-ft of torque [199.8 N-m] @ 1850 rpm) (STD). 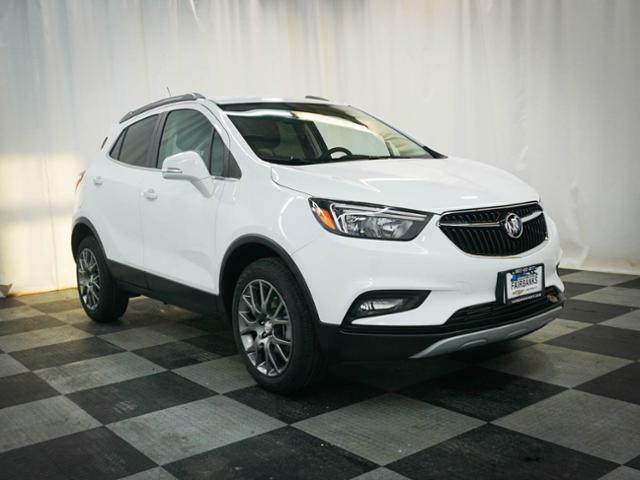 Buick Sport Touring with SUMMIT WHITE exterior and EBONY interior features a 4 Cylinder Engine with 138 HP at 4900 RPM*. Chevrolet Buick GMC of Fairbanks sells new, certified pre-owned and used cars, trucks and SUVs in Fairbanks, Alaska. We offer financing options and incentives for all North Star Borough Chevrolet, Buick and GMC customers. Our inventory includes the popular Chevy Malibu, the versatile Chevy Traverse and the powerful Chevy Silverado pickup truck. Consider the all new Buick Verano or the GMC Sierra. Schedule a test drive at Chevrolet Buick GMC of Fairbanks today! Plus tax, title and license. Prices include $200 dealer doc fee. See dealer for Stock Numbers. Price contains all applicable dealer incentives and non-limited factory rebates. You may qualify for additional rebates; see dealer for details. He was able to save me money and made the experience of buying a new car great. He is also a very kind and energetic person to buy from. Michael is so friendly and always willing to work with his costumers to make their car buying experience stress free. He’s always pointed us in the direction of the best deals and we trust him very much! My oldest daughter decide she would like to purchase her first new vehicle, this was her first major purchase as an adult. Her Dad and I talked to her and took her to Chevrolet Buick GMC of Fairbanks, because they have a nice selection of vehicles, amazing sales team, finance, and service department. They took the extra step to find the perfect vehicle that will meet her needs, make her happy, and crunched the numbers so it was the best purchase price they could give her. They treat you like family, provide you with amazing customer service, and their service department & mechanics are the best in town. My daughter decided to go with a Chevy Colorado and is very excited about her new purchase. We are extremely proud of her and grateful for the help from Carlos Parker & Walt Rodgers: Management, Michael Warlick: Sales Dept, Justin Vey: Finance. Bottom line is when you are looking for a new or used vehicle remember you are not just a number and should be treated with respect, feel great about your decision to buy, and know you received the best price for your new purchase. I can 100% say we always feel this why when we leave this dealership. Michael great job! I’m happy with my car and the time of the service. Thank you for everything I would recommend to others for their great service. Thank you Michael Warlick for helping me find my perfect truck and treating me with respect and going above and beyond to help me!! You Rick!! I bought my first car and the entire experience was a breeze! Definitely would recommend! Mark Warlick was super friendly and dependable! I never thought buying my first car would be as easy as it was. Great services, worked with the USAA buying app and got linked up with Michael Warlick. He got me what I wanted no pressure and a good deal. I would recommend conducting business with Michael and Fairbanks Chevy dealership. Mike awesome! Took good care of us! Came in not knowing what I really wanted. But he showed me a few options and I’m happy. Well we’re to start I bought a used vehicle less then a year ago and it has caused me nothing but problem with major engine repairs. After voicing my concern the dealership welcomed me and bent over backwards to make me happy. The sales person was extremely helpful and a pleasure to do business with. He alone restored my faith in Lithia of fairbanks. I came to test drive a used vehicle and left with a new vehicle! I’m very happy! Thank you so much and God Bless! Mike was very helpful with helping me get the car I really wanted. When the time comes, I hope he is around to help me purchase another vehicle! This dealership has very professional, helpful, and kind employees. Mike and Darrell specifically goes out of their way to help find a car that is just right for you. They don’t pressure you into buying something that isn’t right, and assist you in making great decisions towards your purchase. I highly recommend this place. My trip to this dealership was amazing! Micheal was quick and responsive a wnsered all my questions in a friendly matter. I enjoyed my experience here and hopefully I’ll walk pit with a new truck! After losing my older car to a fire Mike Warlick was very helpful finding a replacement. He helped me go through the paperwork to obtain a family discount and followed up after the sale to be sure I was happy. We we're so pleased that my daughter bought her first car from him. Thanks Mike. Michael went the extra mile. He treated me like family. If I do need another vehicle I would see him again. Thanks Chevi for such friendly staff! We got the truck that we wanted for the price that fit our budget. Customer service was great. We had a really good experience. Thank you Chevy of Fairbanks! I really liked the customer service. Everyone was very friendly. Thus dealership really gave me hope and they really helped. I kinda had bad luck every where else that I went. What a great team. Sales to Financing team will keep buying viecles from you. Great customer service. I would recommend this dealership to my friends. Mike was awesome with the experience of buying used or new vehicles!! Thanks to the sales and finance, I am driving away in a newly used GMC Terrain! Very well manor and new what he was talking about. Answered all questions about all different vehicles and had knowledge of them all I'm very impressed.. Very pleasant to do business with, made my daughters first car buying experience a great one. We chose Chevy dealership for there repeatedly striving to out perform there competition. I worked with Alec and Mike Warlick and they were both wonderful. Mike made sure to get me the right vehicle for my trade-in and helped me get the best deal possible. If you go with Mike you are in good hands! I was pleased to work with Michael Warlick who gave me a great price for my daughter's car. I also love the truck I bought for myself. They answered all my questions without pressure and helped to find available rebates. I'm looking forward to a long ownership of this truck. 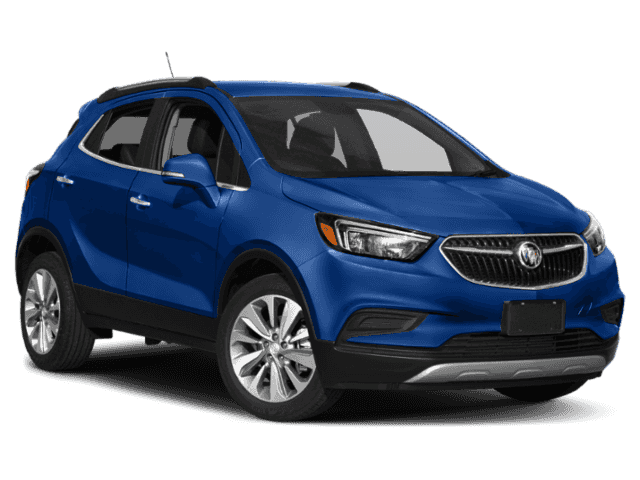 We just bought our first Buick from Chevrolet buick of Fairbanks’s and they made the buying experience easy. Just ask for Rick or Micheal. Great place to do business. Very helpful and friendly. Its refreshing to talk to real people as opposed to people just blowing smoke. Thank you. Our Salesperson Mike Warlick was knowledgeable in educating us on our new vehicle. He also helped in facilitating the financing and final closure of the sale. Walt Rodgers also was instrumental in assisting us. We have purchased vehicles from Walt for close to 20 years. We have always stayed loyal to Chevy/GMC. Dealer does not care about customer safety or satisfaction! Lithia Chevrolet/Buick/GMC of Fairbanks is WORTHLESS! BEWARE of a dealer totally unconcerned with your safety! My husband's company bought 2 brand new 2017 trucks in mid October. One seems okay. The other, my husband's, has had a window issue from day one. They would not open/close, or at times would do so on their own. Now they simply will not open. THIS IS A SAFETY ISSUE. Over two months later - waiting for them to come up with a resolution - he was told today - by the SERVICE MANAGER - to call Corporate - there is nothing they can do. BS! There are other trucks on the lot they could pull the parts from, or give him a new truck! This one is obviously defective and dangerous. If he is injured in anyway because of this issue I WILL hold them responsible. Competely inexcusable treatment! I highly enjoyed working with Michael, he was fast, kind and very knowledgeable. He truly helped find the best deal for my family and I. Born in Indiana July 1984. Rick grew up living the country life. He spent his summers riding tractors and bailing hay until he joined the Navy at 18. After serving his country for four years he moved to Alaska on a coin toss expecting to only stay for a year to get a little adventure before heading back to Indiana. In the end Alaska's beauty won him over and he decided to stay. Now, this father and loving husband spends his days playing house with his daughter when he is not at the dealership helping clients and providing the best customer service he possibly can. My sales consultant was wonderful and helped me get into a brand new 2019 Chevy Sonic. You can't beat the customer experience I had with Rick Eagle! Best experience ever as a "second time buyer"
I originally went to Genes and was treated terribly and got pretty much screwed. Rick noticed I had been at Lithia all day and met with me to find a car that fit my needs. It took some time because of the prior dealership, but I was able to get in a great car and I am so happy!!! Rick is the best seller to go to no matter what issue you are having. The entire Lithia team worked very hard to make this process simple and easy. Really good experience handled things professionally! Enjoyed doing business with this dealership would highly recommend seeing Rick Eagle if you are interested in getting into something you can see yourself affording and looking into what options you have he will help guide you through whatever you need! Rick made this process so easy and fast. Worked with my schedule and made the deal work for me. Tailored exactly to my needs and answered all my questions. I got my DREAM truck and I couldn’t be happier. I especially am thankful that my experience was no threat and no agression which is hard to find when shopping for cars. Everyone should purchase through Rick! We were shopping around for an additional vehicle for our family. We had already spoken to other dealerships with less than stellar luck. Then we were surprised and rewarded with our phenomenal experience. The staff is welcoming and Rick took our needs seriously. He not only found us the perfect fit,he made sure we were happy all around. Perfect vehicle, fantastic pricing, service department bar none. Rick is personable and knowledgeable he really goes above and beyond to make sure the customer is satisfied. Great Service, customer service. Thank you! We had a great experience with purchasing a truck from the company, The staff was exceptional with their attention to detail, customer service and knowledge with the process and product. Thank you! Great Service, knowledgeable staff, and great customer service. The staff assisted us nicely and were very efficient, kind, and knew their product. We appreciate the service. Wonderful and very quick experience, very satisfied! John Miller is a super salesman! He listened to my requests and found the perfect small suv for me! A 2016 Chevy Trax! An awesome small suv and the only thing I would have considered trading in my car for. Thank you again for all your help and making this a great decision on my part to be back in an SUV! Dawn Curtis, Happy Customer! This is the second vehicle I have purchased from Lithia with the help of Rick Eagle. It's always a pleasant experience and Rick always goes out of his way to make things as easy as possible. I would not have gone in to purchase my new 2016 Chevy Cruze if Rick had not sent me a message informing of the great deals going on and to come on in for a trade-in (knowing how much I wanted to get out of the gas guzzling 4Runner I had previously). Delissa Kinsey made the financial side of signing all the paperwork quick and easy, even-though I had a late night (closing) car purchase. Everyone one was understanding to my want to get home the night of the purchase and allowed me to make an appointment to come in for everything that wasn't necessary that evening. This is my third car from Lithia and all my service has been done there previously. I couldn't ask for a better team of people. I look forward to many more years of service and partnership. Friendly and fast. He even took time to see me at my place of business to make sure he was not needed anymore. Wonderful customer service. Thank you. Very informational customer service friendly, leased a new car, new to Fairbanks and needed to find something reliable and affordable. Thanks to everyone for the help. Another Great purchase! This is our 4th vehicle we have purchased through yall! Rick was an awesome sales man got us into exactly what we were looking for AGAIN! This was the first time we have had Delissa for finance but she was great! I would definitely wait in line to be able use her again! We did have to bring our Trax back for a mandatory GM update but Shana got us into service right away and kept me up to date on the progress! Great Team! 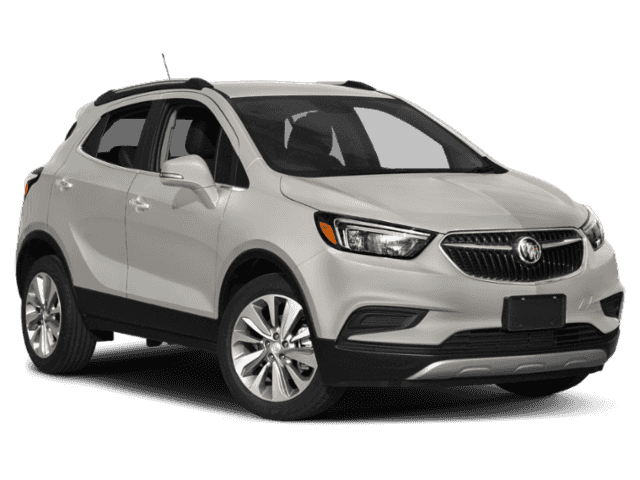 I came in looking to purchase a new Colorado pickup and found it was more than I wanted to spend started looking at the Buick encore and that is what I left with. I called Brian Horn the day before( I purchased a few vehicles from Brian before he went into Finance) and asked who should I see. He suggested Rick Eagle. It was very good experience. I look forward to working with Briand and Rick in the future. We have bought many cars from Chevy since 2003. Every experience has been great however, our last visit was amazing. We went in to test drive a truck for my husband, but Rick Eagle remembered me and asked how I was liking my car that I bought from him less than a year ago. I told him there were things I missed from my old car and he immediately wanted to make sure I was happy. Rick went above and beyond to help us get what we wanted. I always recommend the dealership but I will always specifically recommend Rick in the future. He has sold us our last 2 cars and my father-in-law a car. Great experience! Thanks for all the help with my new truck Rick Eagle he is very friendly and call after to make sure the truck was working fine for me. Rick was awesone and he helped us an made our process very smooth and he has followed up with us to make sure everything was good and that we were happy. Mike was amazing. We told him exactly what we wanted and he made it happen. He was so nice and knowledgeable!! Made our experience easy and seem less. Couldn’t have asked for a better outcome today. Thank you to Mike, Harley and the finance team you guys rocked it and we are so grateful to you all!!! Had a great experience with Mike Stoltz and the Chevy dealer in Fairbanks. Mike took his time to get us the truck we wanted and in our price range. I would highly recommend Mike if you're looking to purchase a vehicle. Mike has a great personality and not your typical pushy salesman. He truly wants you to be happy with your sales experience and your purchase. He goes above and beyond to help you. Walt, Carlos, and Harley also went above and beyond getting us a great deal on the truck and making the trade in process easy. Couldn't have asked for a better experience through my purchase, including finance. Every person was welcoming and very helpful with every question I had. The Service Dept has done a fantastic job of maintaining and repairing my vehicles. I have been a customer for over 13 years and would not consider going anywhere else for vehicle repairs. They are timely, ensure quality and keep me informed throughout the process. They are second to none. Quality service!! Quality care!! Quality EVERYTHING!! Completely Satisfied..again!! 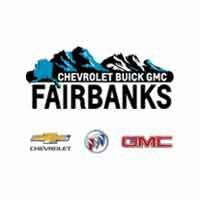 Fairbanks Chevrolet Buick GMC is no doubt the very best Auto dealership in Alaska. Their used and new car inventory is second to none. Big thanks to their sales team and professional managers for doing such an exceptional job. We would like to thank Harley and Eric (sales trainee) for the wonderful experience we had in purchasing our new Tahoe, they were very professional and friendly, which represented the company well. They never left us wondering about the process and informed us every step of the way to include, signing the final paperwork. They also hung around until we were completely finished even after closing time. We really appreciate all they did for us to get us the vehicle we really wanted. Clayton Martinez was very pleasant, and patient. I did not feel rushed at all and he was able to answer all of our questions. He had excellent customer service. Went in after I was contacted by Brian McKim about a high demand for "transitional" vehicles and that an aggressive offer could be made on my '14 Silverado. I went in with an interest in buying the '15 Tahoe and had all the numbers worked out with what I thought would be a fair deal for everyone. Brian and the people at Lithia went so far above my expectations that I couldn't even come back with any sort of a counter offer. They came in with an offer for my Silverado that was about 4 times what I thought I'd get out of it, got the price of the Tahoe straight down to the price I was asking, and contacted multiple banks for financing to make sure I got the lowest possible interest rate and the monthly payment I felt comfortable with. I don't think I could ask for a nicer and more helpful group of people. The bar has definitely been set very high in terms of my next purchase. Salesman Steve was exceptional and considerate of my needs. The process however is very time consuming but not unusual for buying a car these days. I got the vehicle I wanted! The dealership was friendly, promptly helped me, and was willing to answer all questions I had. The salesman I dealt with gave me lots of time, and was willing to assist me in any way needed. Great deal on an awesome truck. It took a little time to come to agreement on the purchase price, but I got a great deal on an absolutely awesome truck. Harley was easy to work with I would highly recommend him to friends. Very positive experience with chevrolet, gmc, Buick of fairbanks. The sales staff and management are doing a great job. I would definitely recommend Lithia of fairbanks for your next vehicle purchase. The crew at Fairbanks Cheverolet are very knowledgable on the vehicles they sell. My buying experience went very smoothly. My salesman was very professional and helpful. I would recommend this dealership to anyone looking to buy a Chevy product. We came into the dealership with very high expectations. The experience turned out to be a good experience for all of us. It almost met our expectations. Great job. Harley was fantastic! He went above and beyond to make sure all of my needs were met and that I was 100% happy. Super great attitude and energy and very knowledgeable. The rest of the staff were also very friendly and helpful, making for an overall awesome experience. Would definitely recommend this dealership and Harley specifically to anyone looking to get a new or used vehicle. Right as I entered I got gel from Harley Laboda, he was very helpful with what I asked for. He was motivated to help us and he helped us get the car we wanted and didn't give up on helping. I would refer anyone to him because even after he checked up on us and asked how the vehicle was. He took the time to show us cool features and it was one of the best visits I've had. Went in just to look, not really leaning toward buyin a new truck. Told the. Where I wanted our payment to be, and they worked with us on it. They gave us an excellent deal and paid off our trade in for us as well. Best factory rebates I've seen lately. Our salesman, Harley Labota, was extremely knowledgeable on all the cars we talked about, really nice guy. Awesome job! I had some financing issues. But the entire staff worked everything out and got me a great deal on a brand new 2016! Thanks everyone. Dan was great. Walt hooked me up! Dan was great. Walt hooked me up! Got me the brand new 2019 Chevy silverado high country! Would recommend them to anyone looking for a quality experience. Daniel did an outstanding job! By far one of the best salemans we have worked with. He got us everything we wanted in a 2019 Silverado 1500, including the price. We didn't feel pressured into buying or getting something we weren't interested in. The whole staff was amazing from start to finish! Process took a while but Stoltz and Daniel made it happen. Justin was very helpful and made filling out the paper work fast and easy. Went in sat down told the sales man what was going on with my family and finances. After that he took it and ran with it everything was done with in a matter of hrs and I was home with my new truck. Very patient with kids and help out keeping them entertained while paperwork was being completed. Daniel Bourne was very knowledge and answered all out questions. He offered he incentives that really got my attention and sealed the deal. I will recommend this dealership to ky friends and family. I leased my vehicle there 3 years ago and I'm coming up on the end. I will always come back because Danny Bourne and Walt Rodgers are my car guys! I just love them to pieces! Can't wait to see what I come home with next. Hopefully not shoebarus! Haha! Felt great about buying my Acadia. No regrets. Got a great vehicle. Did not feel pressured to buy. Everyone was friendly and professional. The whole process was trouble free. I went in browsing for an awd suv. Daniel Bourne was my sales rep. Due to his patience and honesty, instead of hopping from dealership to dealership as originally planned, I came back the next day and brought a car with him. I went in to purchase a new vehicle. Everyone was extremely friendly and great to work with. I also learned an important lesson about selling my car verses dealer trade in. Next time I will take the time to sell my vehicle prior to visiting as I was offered well under the KBB trade in value! Lesson learned for next time! That said - everyone was super friendly and I would go back! The buying process was easier than expected. Appreciate not having to be there all night and the walk around with Daniel was smooth. Thank you! I gave my rating because from day 1 all the way until now they, people at the dealership was with me. Mr tanner never left my side and stood by when I had questions. When I had problems with the vehicle mr tanner quickly work to solve the problems. Mr Daniel step up and started working with me and was very friendly and understanding. He always made sure I was taken care of. Mr chuck was very professional and always got my vehicle fix when it needed it. He went over and beyond as to walk me out to the vehicle and explain what happened and what work was done. Daniel Bourne was a pleasure to work with. I found him informative and willing to work with me. He made the whole experience pleasant and I would gladly recommend this dealership to others as my experience was so easy and I walked away very happy! Daniel was a huge help! He made this whole process very easy. We will def recommend him and your place to others. We are leasing 2 new vehicles for the first time. We were in and out and love what we have! Daniel was awesome, his steadfast dedication duty reflects good credit upon himself and Lithia dealership. Remarkable custom service and going the back for the buyer is only a fraction of what I experienced at the dealership. Salesmen were very good, Dylan and Daniel Bourne, but the financial team and Sales manager were horrible. They kept changing things and jerking us around. Everything was great until they had our money, we purchased a brand new Chevy and paid to get the undercoating put on. We scheduled pick up of the car for Sunday at noon. Deal was done on the previous Friday. When we got there, we were handed off to a new sales person because the one had been with us through the whole deal had taken a walkin. I was not happy, at the new guy takes us outside to our new car, it was filthy, obviously not detailed and ready for delivery. We go back in and another salesperson comes out and tells us that he allowed his customer to take our car on a test drive and he sorry. I asked him why he didn't just go grab a car from the service dept, same thing, we owned the car at this point and no one should have been able to drive it. At this point I'm questioning every aspect of the deal and particularly if the undercoat was done. What seems to be forever we finally confirm the undercoating was done. Had I looked closely I would have know it was done because they got some on the leather seats. All the while this dealership has never (to this day) apologized, the poor guy that had to deal with this is owed (in my opinion) the commission from our deal. He was great. Shame on this dealership and it's management. We will be buying a 2016 Colorado as soon as the diesel is released but it will NOT be from Lithia!!!!!!! From Canada originally. Moved to Alaska in 2007 and love it here. Worked as a Glazier (glass, not donuts) for many years before finding myself here, and I love it. I practically live at whatever job I'm at and give it 110% so if you come by you're bound to spot me. Have a great day! Most fun car buying ever! This car purchase was the best one ever! Mike Hathaway was very patient with us as we tried to decide between two vehicles. No pressure at all! Justin Bey was extremely helpful with choosing options for warranties and financing. We even had coffee during the whole visit- great Alaskan coffee! We will come here for all of our vehicle purchases and send our friends and family! Thanks again! Everyone was very helpful during the vehicle purchase and the vehicle I have now is working much better than my last one and suits my needs. Mike made buying our new vehicles very painless and extremely easy. Did not push anything on us we didn't want and was very flexible with us. He was dedicated into getting us into the vehicles we were looking for and didn't stop working on the numbers until he got them into the price range we were looking for. I highly recommend not only this dealership but personally Mike as he is very dedicated and committed to every customer he deals with. Mike, Carlos, Sherwood, and Ozenne were extremely helpful with the process of getting my new vehicle. They were patient with me, understanding of my wants and needs and were able to meet everything that I needed. In fact, we ended up trading in two vehicles as opposed to one because of how great our experience was here. This is a huge change for our family for the better and could not be more thankful. Mike, you hit the nail on the head with both vehicles and you were great to work with! The service was fantastic and the deals given were great. Helped in the long run of the service of my truck. Hospitality was a must in the business and the best of all in town of fairbanks with service. this was the best service ever with Mike H. Hospitality was great, Mike offered us coffee, snacks, and even pizza while we waited the dreaded wait from finance. when I picked up the plates Mike didn't hesitate to put them on for me. He even took our vehicle to fill our tank with gas because we had to come back in town to sign more paoerwork. Overall Mike is the best salesman I have ever had dealings with. Mike Hathaway was very helpful and knowledgeable in helping us pick the perfect truck! He was great with listening and understanding our needs to have a reliable vehicle. Much appreciate for everyone and their kindness. Mike was so far the best sales rep I have ever dealt with! Easy to work with. Great experience with Alec. Will recommend dealership to everyone. Will be back to buy next car from here. Thank you for an easy shopping experience. Mr.McKim is a great car salesman if it wasn't for him, I wouldn't have purchased my vehicle from this dealership. I had already picked out my next vehicle at another dealership. Mr. McKim has awesome customer service skills he listened and produced. He wasnt trying to be a pushy car salesman at all. I WOULD PURCHASE ANOTHER VEHICLE IF HE'S THE SALEMAN..... A HAPPY AND SATISFIED CUSTOMER. Brian McKim, Carlos Parker and Justin Vey were very patient with me. I am very picky and will not settle for anything less than the best. 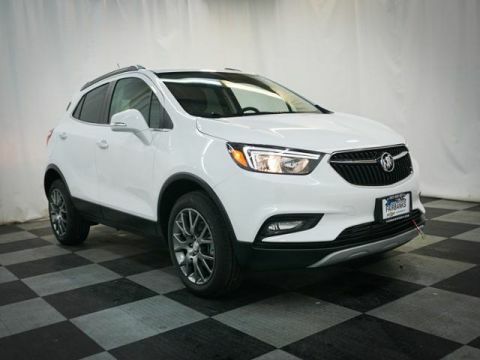 At Chevrolet Buick GMC of Fairbanks, located off AK-3/Robert Mitchell Expressway in Fairbanks, Alaska, you’ll find a great selection of new and used cars, trucks and SUVs to buy or lease. Let us help you choose a car that fits your budget from our vast inventory. Visit us today or browse vehicles online and see why our customers travel from nearby North Pole and Fort Wainwright to shop our new and used cars.